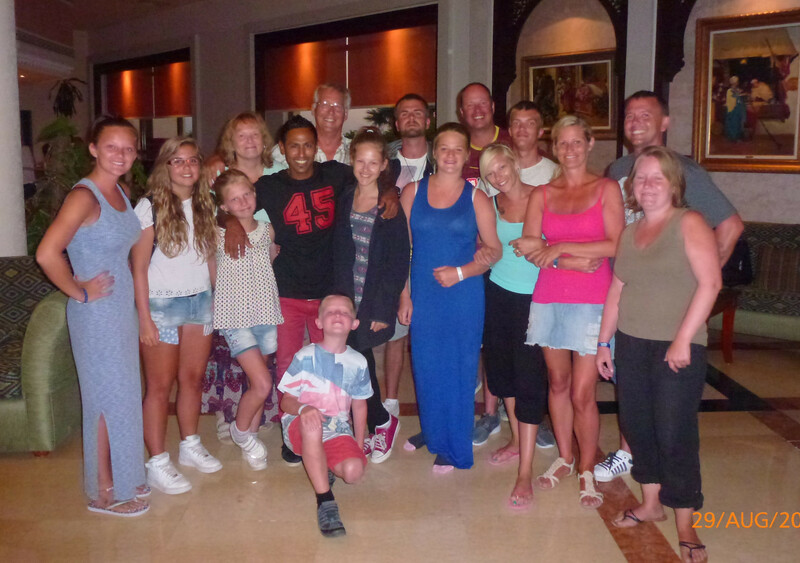 Holiday Illness Claims have secured an astounding £29,850 compensation pay out for a Buckinghamshire family where all but two party members were wiped out by gastric illness at Sea Club Resort in Egypt. 13 members of the holiday party were struck by severe sickness during their stay. Brian and Pamela Pilling travelled to the 350 room Sharm el Sheikh resort in August 2015 with 13 of their closest relatives expecting five-star luxury only to be confronted by poor hygiene standards and illness. The Chesham couple fell ill within days of their arrival at the Thomson promoted complex and were placed onto IV drips and a cocktail of prescribed medicines to combat acute gastroenteritis and dehydration, incurring over £700 in doctors fees. In the following days, 11 members of the Pillings holiday party suffered from the same debilitating illness symptoms of sickness and diarrhoea. Brian remains disappointed that his familys £17,000 holiday was completely overshadowed by illness and wishes we had never gone. One very expensive holiday ruined, he states revealing that all of the unlucky 13 remained plagued by illness symptoms on their return home, with several family members suffering additionally through loss of earnings as they were initially unable to return to work. The stricken holidaymaker also adds that following GP advice, he and Pamela had to cancel a September 2015 planned trip to France over fears that they were still too weak to travel. Travel law expert, Sue Robinson of Holiday Illness Claims was Brians first port of call following his ruined Egyptian escape. Sue handled all 13 claims for holiday illness in Egypt on a no win no fee basis, successfully securing nearly £30,000 in a settlement with tour operator, Thomson. Commenting on the case, Sue said: I am so pleased with the outcome and I trust that the Pillings are equally delighted with this result. Unfortunately, many holidaymakers simply remain unaware that if they suffer from illness on a package holiday due to negligence on behalf of the tour operator, that a claim for compensation can be made. I strongly urge anyone who has fallen foul of hygiene standards on a package holiday within the last three years to come forward and contact Holiday Illness Claims. Our holiday claims experts will advise you on the merit of your case and guide you through every step of the claims process. The dedicated team at Holiday Illness Claims has over 50 years combined experience in helping people like you receive the maximum holiday sickness compensation. For more information on how our experts can help you make a risk free and hassle free claim, call 0800 01 54321 now. Alternatively, complete the quick holiday illness enquiry form and an experienced claims specialist will be in touch as soon as possible.